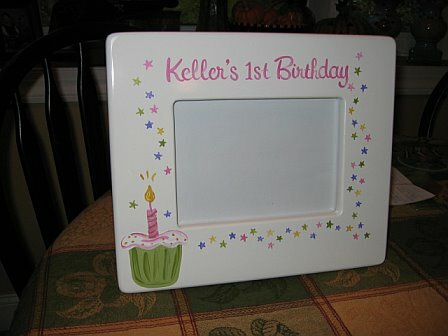 Have the best 1st birthday gift at the party! 5x7 opening wood picture frame. if needed sooner please let me know.